They are spending hundreds of millions to open new locations, update technology and add staff in order to deliver quality care and operate in a highly competitive market. 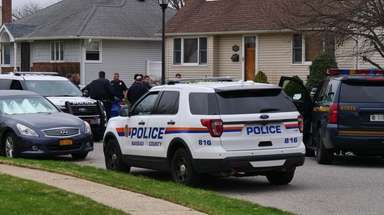 Regional health care systems are spending hundreds of millions of dollars to expand their cancer care services on Long Island. Catholic Health Services, Memorial Sloan Kettering, Mount Sinai Health System, Northwell Health, NYU Langone and Stony Brook Medicine are all opening new facilities, some of which cost $100 million or more. 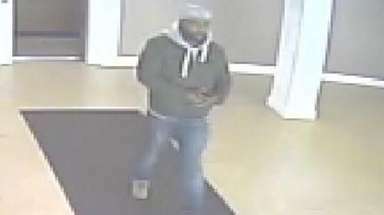 The money is being spent to open new locations, update technology and add staff. Experts said the initiatives are necessary to deliver quality care and operate in a highly competitive market. The care is becoming increasingly necessary as the average age of the region’s residents grows older, which, in turn, has led to more cancer diagnoses. The growth of local facilities means fewer patients need to travel to New York City or elsewhere for routine treatment. Besides improved patient care, there are also business purposes for the expansion, said Dr. Len Lichtenfeld, deputy chief medical officer at the American Cancer Society in Atlanta. Lichtenfeld said patients often select a provider with offices close to home. He added that satellite cancer care locations also effectively keep patients from more expensive hospital visits. On Long Island the expansion is rapid, and expensive because of the scarcity of open space, medical experts said. Health care systems are spending on new locations, saying it’s necessary to properly serve patients. Stony Brook Medicine is months away from officially opening to patients its 240,000-square-foot cancer center on the grounds of Stony Brook University Hospital.The $194 million construction project is part of a larger, approximately $450 million expansion. 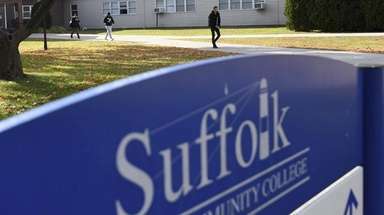 Stony Brook is also opening a cancer facility on County Road 39 in Southampton later this year. 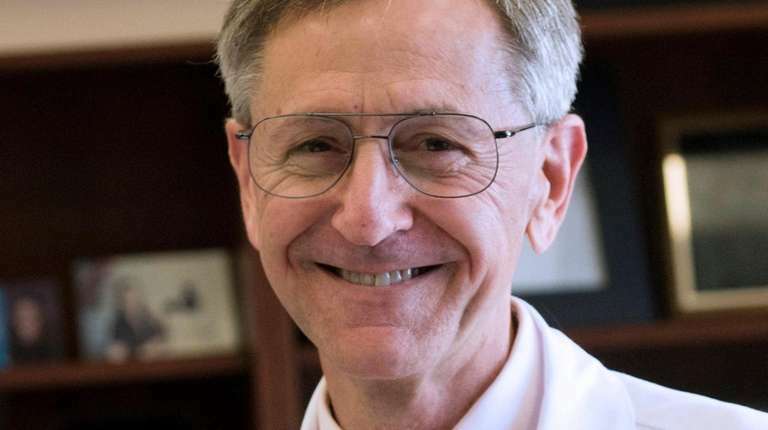 Dr. Kenneth Kaushansky, senior vice president of health sciences and dean of Stony Brook University's medical school, says having cancer care closer to home "changes everything." Manhattan-based Memorial Sloan Kettering is also in expansion mode. The cancer care network, which already operates locations in Commack, Hauppauge and Rockville Centre, is months away from opening MSK Nassau, a $180 million, 114,000-square-foot facility at the Hub in Uniondale. About 220 employees will be placed in that location, which will have 20 cancer doctors covering multiple disciplines, such as medical and radiation oncology, radiology and surgery. Northwell Health is spending more than $300 million annually on cancer care , including money to open new facilities here and in Manhattan, where it plans a block-long location on Third Avenue that will have a major cancer component. It recently hired Dr. Richard Barakat, the former director of Memorial Sloan Kettering’s regional network, and named him physician-in-chief and director of the Northwell Health Cancer Institute. Northwell also plans to increase its spending on cancer care by 8-10 percent annually for each of the next five years. Imbert is now in remission. Just last month, Mount Sinai opened in Greenlawn a multidisciplinary facility that includes cancer services. Isola said Mount Sinai also expects to open cancer care-focused locations east of Oceanside-based South Nassau Communities Hospital, which agreed to join the health system. That deal is expected to clear regulatory hurdles by the end of 2018. Mount Sinai is also opening a Manhasset medical office this month that will have “hematology and oncology consultative services initially and a full infusion suite later in the future,” Isola said. Infusion suites are where medicine, including cancer treatments, is administered directly into a vein. 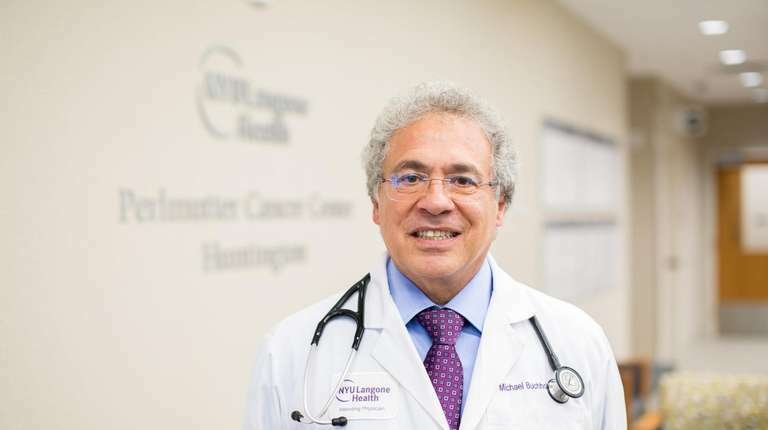 The Perlmutter Cancer Center at NYU Langone offers cancer care at its flagship Long Island hospital, NYU Winthrop in Mineola , as well as in Lake Success and at a year-old facility in Huntington, where it shares space with other disciplines. And Catholic Health Services, which launched its cancer institute about six years ago, is expanding staff dedicated to those services, which include a systemwide lung cancer screening program. The focus on local care lets patients receive treatment such as radiation and chemotherapy close to home, and for most of the health systems, it also leverages their network of multispecialty physicians. "By having all our experts under one roof, we are also able to offer patients clinical trials that used to be harder to access locally,” Barakat added. He said mobile technology is playing a role in the team approach to cancer care. Northwell recently invested $500,000 in Playback Health, a Mount-Kisco-based startup that has launched an app that helps patients keep track of their medical care. Doctors can create content specifically for patients, who can view and share information on their mobile devices. The content includes audio and video clips, as well as PDFs. Barakat said doctors will also be able to collaborate and communicate via the app. Memorial Sloan Kettering is piloting a "telehealth system," which allows patients and doctors or nurses to speak remotely via phone or video conferencing, and which “is a paradigm shift in how we deal with patients,” added Dr. Oren Cahlon, vice chair of MSK’s department of radiation oncology. MSK is using telehealth to provide supportive care, psychiatry and some assessment services tied to radiology care. “As we take on more patients nationally and internationally, an advanced telehealth system is necessary,” he said. NYU Langone is also pushing coordinated telemedicine through an app that connects to its electronic medical records system. NYU Langone said it has about 876,000 active patients on the app, systemwide, with about 130,000 patients on Long Island. Their oncologists actively use the product to communicate with other doctors at NYU Langone, and with patients. 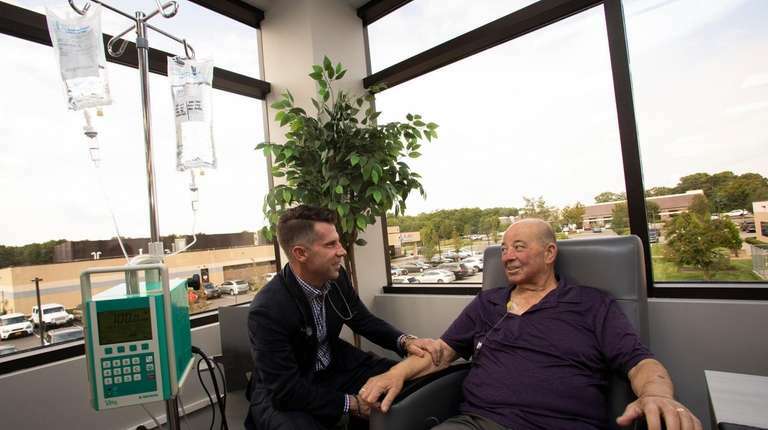 But Dr. Jeff Vacirca, a medical oncologist and the chief executive at New York Cancer & Blood Specialists, based in Port Jefferson, said cancer patients can receive coordinated care without being restricted to one health network. New York Cancer & Blood Specialists handles about 350,000 patient visits annually at its 42 locations, including 15 on Long Island, where it plans to expand further in the next year. The group has 850 employees, including 80 physicians. The local care is one reason Donna O’Rourke, 51, of Huntington Station, went to the Perlmutter center in Huntington after she was diagnosed with breast cancer in February. She had weekly chemotherapy sessions for five months before surgery. Now she is going through post-surgical radiation treatments five days a week for a month to eradicate any remaining cancer cells. 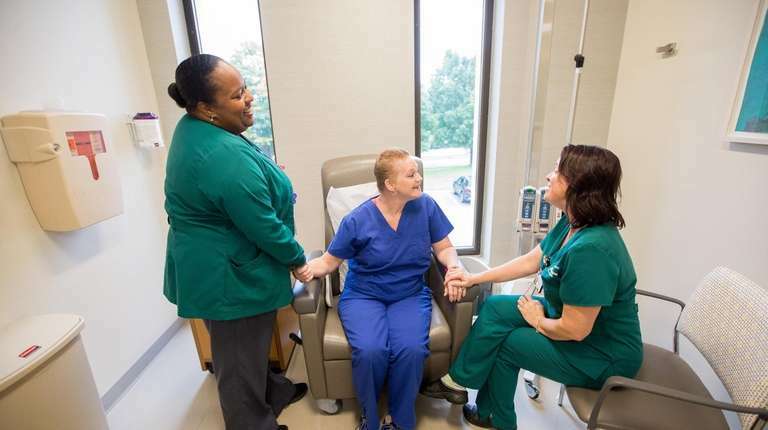 In the end, the proximity of patients and doctors helps most aspects of care, said Dr. Bhoomi Mehrotra, the chair of cancer services at Catholic Health Services and director of the cancer institute at St. Francis Hospital.